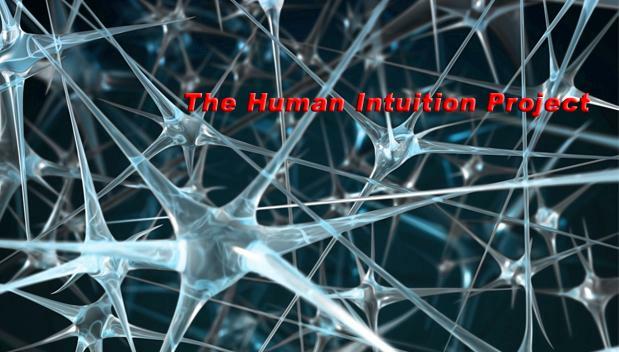 The Human Intuition Project: Who put reason on the centerstage of decision? or... why isn't intuition at the centerstage of decision-sciences? Of course, any historical piece arguing over this should have 80 pages for an introduction. But here's a hunch; George Boole's important book, written more than 100 years ago, was named "the laws of thought". During world war two, two major things happened. The world turn into this unreasonableness state, with the major powers throwing fire at each other. The thought that there must have a reasonable way for all to coexist must have been imprinted in every mind. Meanwhile, scientists, the reason guys, were seen as key players in saving the world. Turing broke enigma, Einstein wrote to the president, von Newmann, among other things, published "Economic behavior and the theory of games", etcetera. Whether or not a cogent explanation can emerge from this hunch is, of course, debatable. Yet the fact is that reasoning (in the form of maximizing "utility" and selecting the "best" course of action) is deeply planted in economics, management science, and mathematical psychology. Meanwhile, intuition is left to hippies, to "Dr. Brian Weiss" charlatans, or mavericks such as Gary Klein or Adrian de Groot.